Religion is a way of life for Indians. Festivals are ways of celebrating life itself. 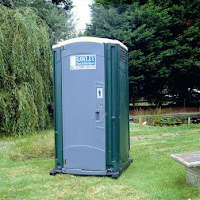 Festivals are celebrated larger than life and they are loud, garish and frankly are lots of fun. 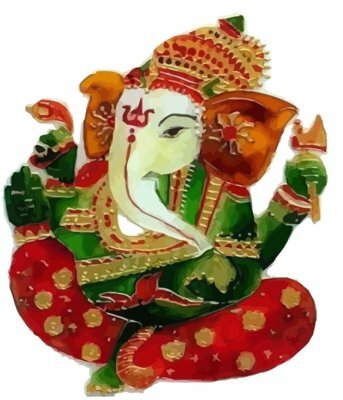 One of the biggest festivals in India is the Ganesh Chaturdhi. Ganesh Chaturdhi is a grand festival and it is one of the many festivals that are celebrated with a community spirit. The entire community comes together and set up a temporary erection and installs giant idols of the god. The surrounding population and in many cases devotees from faraway places come to worship Ganesha. Down the years the Ganesha idols have become bigger and bigger and it is a common place to see 50 or 6o feet Ganesha statues. 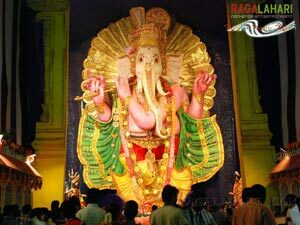 This year there is a massive 119 feet idol that is put up at Visakhapatnam, Andhra Pradesh. So how do marketers cash in on the religious fervor that gets built up? Many companies sponsor the idol itself. This generates tremendous goodwill and the company that sponsors the idol gets lots of free eyeballs through Press and TV coverage. The next most popular method is to sponsor the laddu that is given as Prasad to the devotees. 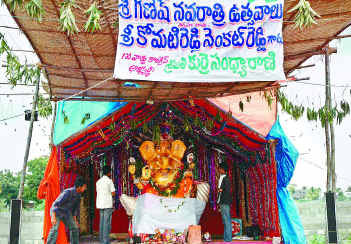 This year for example the laddu at the giant Ganesha idol at Visakhapatnam weighs in at a mind boggling 6,000 kgs. The laddu is then auctioned off on the last date of festivities and that event is telecast on all local television channels. Many companies resort to the decoration of the Pandal. The Pandal will then have banners acknowledging the contribution of the company. The Ganesh Pandals are very popular and are big crowd pullers. Companies can try out new products and the Pandals can be great avenues for trying out new products. But all the things that are mentioned above are routine and are very run of the mill type of promotions. Let us see some more innovative types of promotions. Most devotees who throng the Pandal are looking for keep sake photos. So why not try out a campaign where the company can give a photo of Ganesha. The snap can have the name and address of the sponsoring company. These snaps inevitably end up in in the prayer area of the house. Quite a holy connect and a very smart way to be remembered. Why not try out Ganesha trinkets like key chains and small Ganesha having the company logos. Most of the visiting devotees face issues like not having facilities like provisions like safe keeping of their footwear, no drinking water facility or lack of rest rooms. Companies that can take care of these issues and provide facilities like portable resting rooms, drinking water and snacks would be remembered for a long time. The feeling of faith is something that is very deep and spiritual. By being a part of that spirituality companies can move closer and become a part of the customers’ inner self.